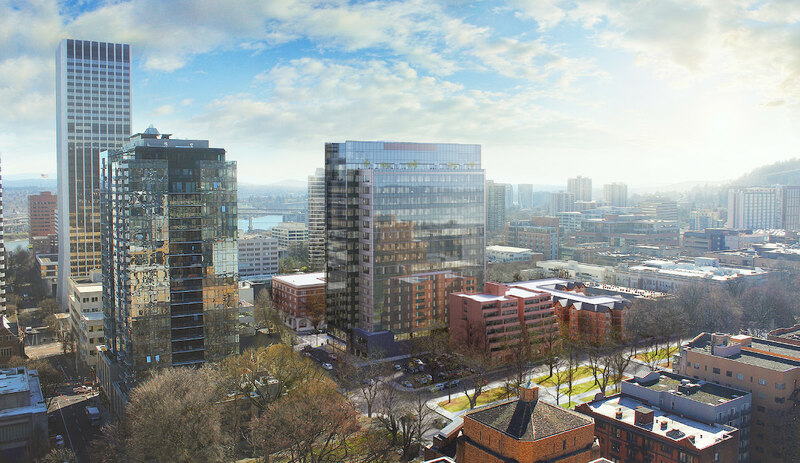 The developer of The Collective on 4th intends to break ground in October, according to the Portland Business Journal. 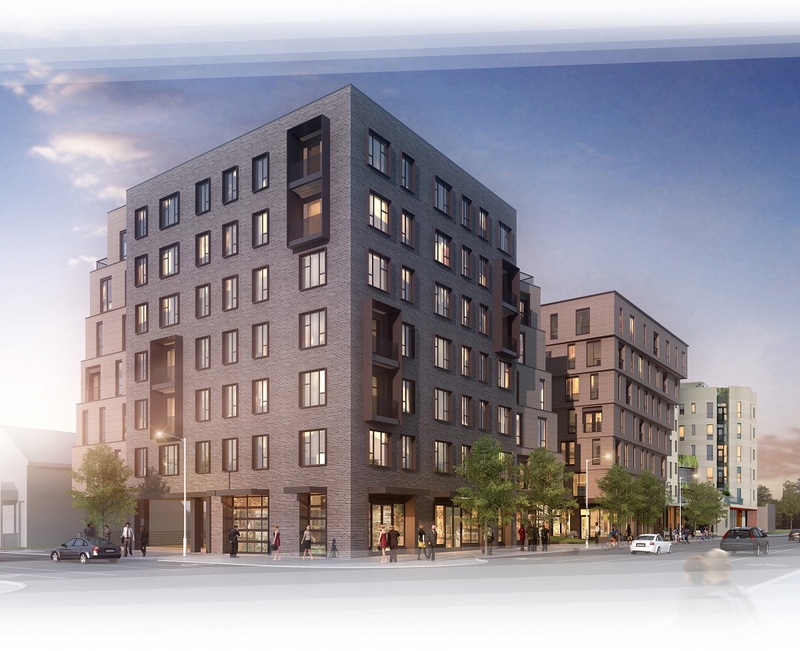 The 15 story building will include 417 apartments, with the possibility of a grocery tenant at the ground floor. 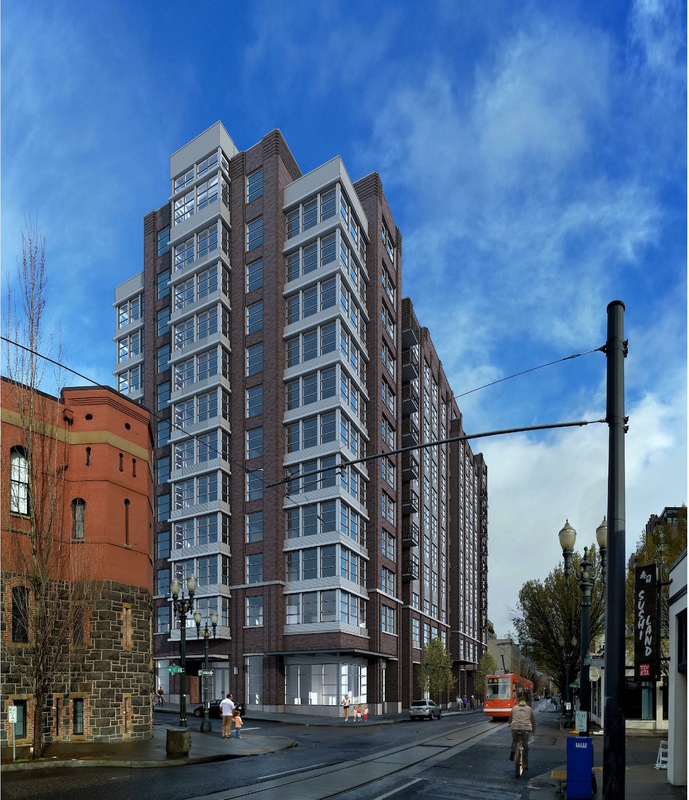 Portland has released its latest proposal for mandatory Unreinforced Masonry Buildings, reports* The DJC. The deadline for when buildings must be upgraded will be 25 years. In “Temple of Doom“, published at the Business Tribune, architecture journalist Brian Libby lamented the fates of the Ancient Order United Workmen Temple and the Hotel Albion, respectively set to be replaced by the office at 3rd & Taylor and the hotel at 3rd & Salmon. Portland Architecture took an in depth look at The Redd on Salmon Street, the Central Eastside food distribution hub planned by the Ecotrust. 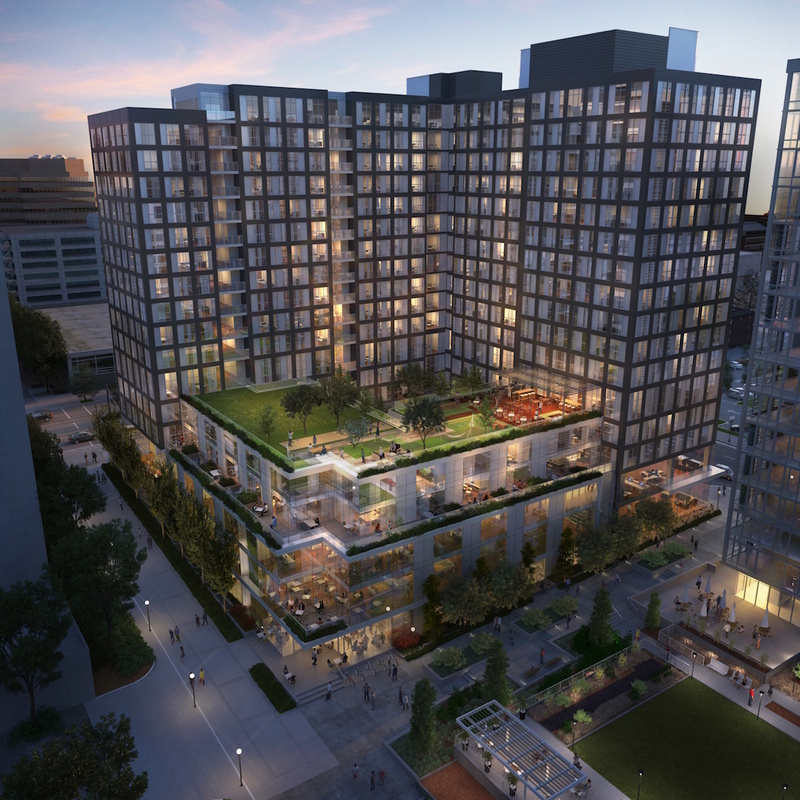 A Pre-Application Conference has been scheduled by ZGF Architects and Gerding Edlen Development to discuss a 30 story mixed use building at SW 11th & Washington. 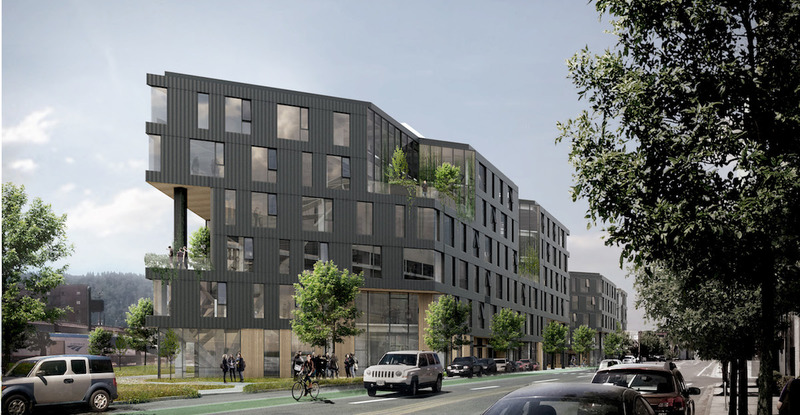 The project would include 4 floors of office and 240 residential units. At the ground level retail spaces facing SW 11th Ave, Washington St and 12th Aves are shown. 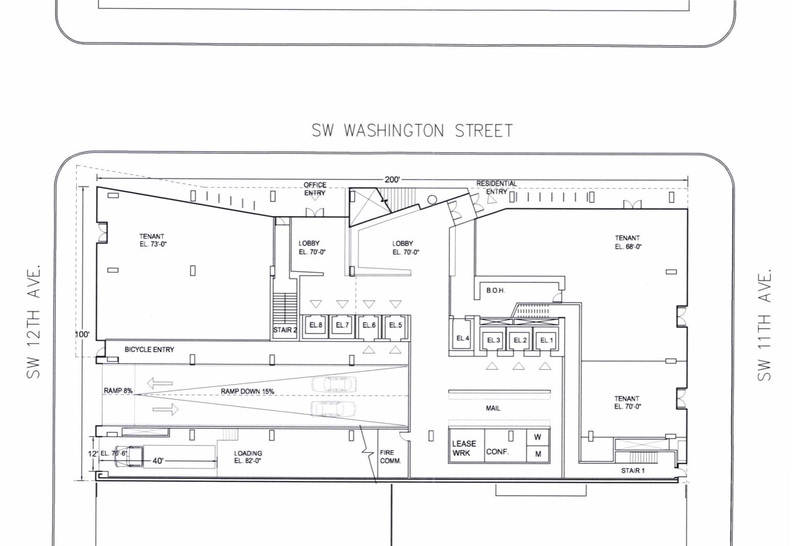 The building would include 4 floors of underground parking, accessed from SW 12th Ave. This is an updated version of a post originally published on September 4th 2015. 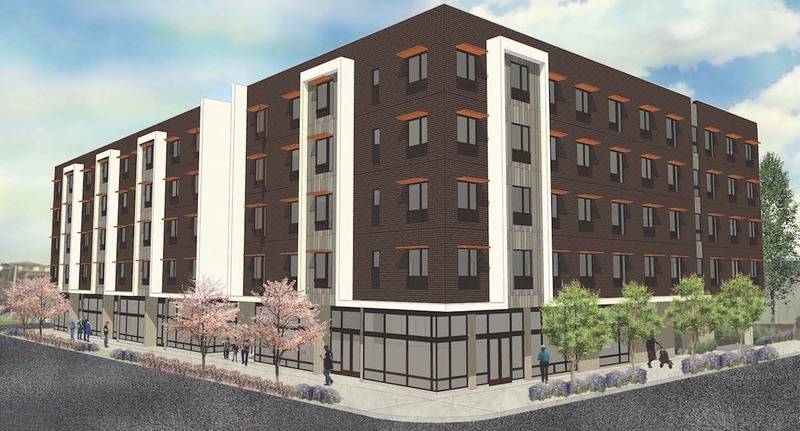 Construction is underway on Little LOCA, a 105 unit apartment building in the Central Eastside by Ankrom Moisan Architects. The 6 story building will have 105 units, split between 35 studios, 60 one bedroom units and 10 two bedroom units. Up to 5 retail spaces are proposed at the ground level. Parking for 17 cars and 163 bicycles will be provided. The project was taken through Design Review by Foresight Development & Real Estate. 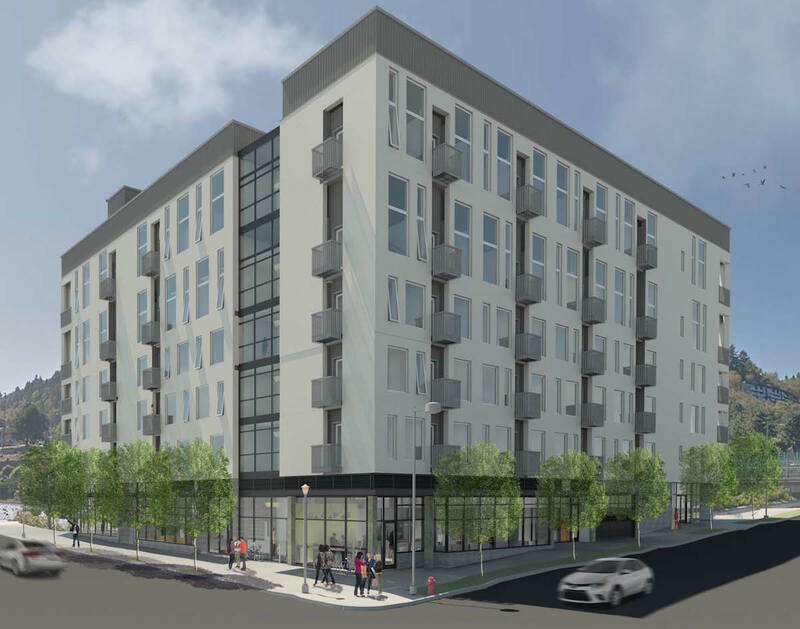 The development was then sold to Killian Pacific, developer of a number of Central Eastside project including the nearby LOCA @ The Goat Blocks. This is an updated version of an article originally published on April 22nd 2016. Construction is underway on the Broadway Tower, a new mixed use building by GBD Architects for developer BPM Real Estate Group. The 254′-3″ tower will include 180 hotel rooms, located on floors 3 to 8, which will be operated under the Radisson RED brand. 175,000 sq ft of office space will be located on floors 9 to 19. The ground floor will include the hotel and office lobbies, as well as the hotel restaurant and a single retail space. Hotel amenities, including a lounge, conference rooms and fitness room, will be located on the second floor. Four levels of below grade parking will provide space for 210 vehicles and 132 bicycles. At the 17th, 18th and 19th floors exterior decks will be provided for the use of office tenants. The largest of these, at the 18th floor, will include landscaping and will face onto the South Park Blocks.